Harbor Country is dotted with amazing wineries and tasting rooms along in Lake Michigan Shore Wine Country, especially in Union Pier, Berrien Springs, Baroda and Buchanan. Free Run Cellars has a Vineyard and Tasting Room in Berrien Springs and another Tasting Room in Union Pier. With over 30 years of experience growing grapes, Free Run Cellars produce world-class wines of French Style. Located in Berrien Springs, Lemon Creek Winery has over 28 different wines to choose from and a farm market with u-pick. The Round Barn Winery has a Baroda tasting Room & Estate as well a a Union Pier Tasting Room. With an abundance of live music events and festivals, the Round Barn is a winery, distillery and brewery. Voted Best of Region, Best Wine and Best Chef by readers of Shore Magazing, Tabor Hill Winery & Restaurant is located in Buchanan and grows 17 different kinds of grapes. 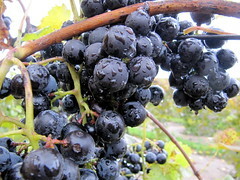 St. Julian Winery, located in Paw Paw with a Tasting Room in Union Pier, is known as Michigan’s oldest and largest winery. Which are your favorite wineries along the Lake Michigan Shore Wine Trail? 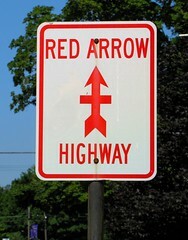 The Red Arrow Highway follows along Lake Michigan from New Buffalo to Sawyer. It’s a perfect way to explore Michigan’s Harbor Country. The scenic road was named after a WWI army (the 32nd Infantry Division) unit that included many local men. Not only is this road historic, it was also named a Great Summer Drive by Travel + Leisure. The tree-lined road links the beachfront towns and features art galleries, unique eateries and restaurants, wineries and antique shops. Beyond shopping and dining, the Red Arrow Highway also connects to Warren Dunes State Park, the perfect destination for hiking, birding, winter sports and just exploring nature in general. There’s something for everyone along Harbor Country’s Red Arrow Highway so get in your car and drive! You are currently browsing the FireFly Resort blog archives for August, 2011.